Antibody–drug conjugate (ADC) development has evolved greatly over the last 3 decades, including the Food and Drug Administration (FDA) approval of several new drugs. However, translating ADCs from the design stage and preclinical promise to clinical success has been a major hurdle for the field, particularly for solid tumors. 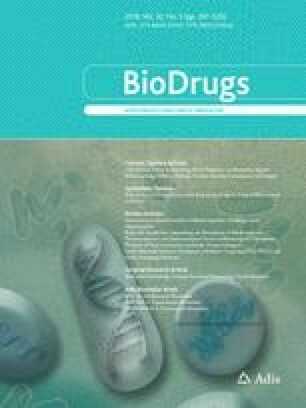 The challenge in clinical development can be attributed to the difficulty in connecting the design of these multifaceted agents with the impact on clinical efficacy, especially with the accelerated development of ‘next-generation’ ADCs containing a variety of innovative biophysical developments. Given their complex nature, there is an urgent need to integrate holistic ADC characterization approaches. This includes comprehensive in vivo assessment of systemic, intratumoral and cellular pharmacokinetics, pharmacodynamics, toxicodynamics, and interactions with the immune system, with the aim of optimizing the ADC therapeutic window. Pharmacokinetic/pharmacodynamic factors influencing the ADC therapeutic window include (1) selecting optimal target and ADC components for prolonged and stable plasma circulation to increase tumoral uptake with minimal non-specific systemic toxicity, (2) balancing homogeneous intratumoral distribution with efficient cellular uptake, and (3) translating improved ADC potency to better clinical efficacy. Balancing beneficial immunological effects such as Fc-mediated and payload-mediated immune cell activation against harmful immunogenic/toxic effects is also an emerging concern for ADCs. Here, we review practical considerations for tracking ADC efficacy and toxicity, as aided by high-resolution biomolecular and immunological tools, quantitative pharmacology, and mathematical models, all of which can elucidate the relative contributions of the multitude of interactions governing the ADC therapeutic window. This work was supported in part by a Tau Beta Pi Fellowship (E.K.) and National Science Foundation CAREER Award CBET#1553860 (G.M.T.). G.M.T. has advising/consulting relationships with Abbvie, Advanced Proteome Therapeutics, Bristol-Myers Squibb, Crescendo Biologics, Eli Lilly and Company, Immunogen, Nodus Therapeutics, Roche/Genentech, and Takeda Pharmaceuticals. E.K. declares no conflict of interest. Hofland P. Harnessing the power of three: advancing antibody-drug conjugates from laboratory to bedside. In: ADC Rev./J. Antibody-drug Conjug. http://adcreview.com/page/harnessing-the-power-of-three-advancing-antibody-drug-conjugates. Accessed 26 May 2018. Pfizer Receives FDA Approval for MYLOTARG™ (gemtuzumab ozogamicin)| Pfizer Pharmaceutical News and Media| Pfizer: the world’s largest research-based pharmaceutical company. https://press.pfizer.com/press-release/pfizer-receives-fda-approval-mylotarg-gemtuzumab-ozogamicin. Accessed 2 Aug 2018.